Whenever new technologies arise, enterprises of all kinds across all industries take a hard look at them and analyze ways in which they can be used to increase profitability, drive efficiency or otherwise improve their organizational effectiveness. Over time, these technologies evolve and are adopted into innovative implementations across multiple markets. Take video teleconferencing (VTC), for example. What many originally pegged it as a consumer or general business application – video calls to meet face-to-face even when separated geographically – evolved and gained adoption in healthcare for telemedicine implementations, in education for distance learning, and even in the government and military for remote training sessions. It really comes as no surprise that enterprises and organizations would try to find ways to do their jobs better and solve their largest problems with new technologies. What does sometimes surprise us are the technologies that these businesses and industries embrace. 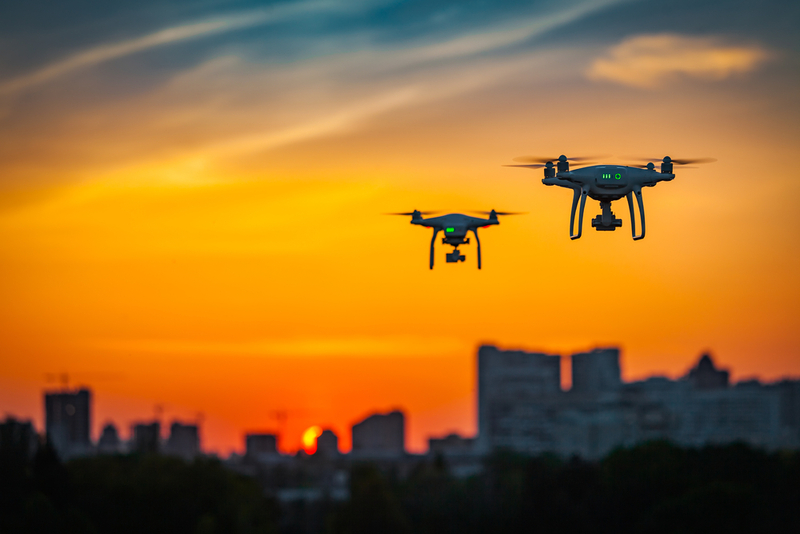 One of the seemingly “odd couple” relationships between industry and technology can be seen right now in the insurance marketplace – where companies are surprisingly embracing drones. Many of us have a friend or family member who considers themselves a crack drone pilot. They can usually be found flying their drones in their backyards, in nature, or over family events and social gatherings. And, based on our (sometimes agitated) interactions with these people, it could be hard to image how their hobby could be used in the workplace, especially in an industry as conservative as insurance. To learn more about the role that drones are playing in the insurance industry – and how their use is benefiting both insurance companies and policy holders, I sat down with Mike Winn, the founder and CEO of DroneDeploy, a drone mapping software startup with the largest drone data platform in the world. Insurance Tech Insider (ITI): What benefits do drones and drone data deliver in disaster response situations for insurance companies? Why are drones an effective tool following things like hurricanes, earthquakes, etc.? What capabilities do they enable? Mike Winn: Natural disasters leave victims with extreme property damage. Commercial drones can quickly capture aerial imagery to help insurance adjusters scope out the scene when roads are dangerous or impassable. Drones can also produce accurate maps and 3D models of large areas in real-time. The mapping drone data syncs to the cloud, meaning it can be shared easily and become a central resource for an entire insurance company. Plus, integrations with the right tools make data analysis easier than ever. ITI: How does the end customer benefit from insurance companies implementing drones and drone data in these situations? How would the experience post natural disaster be different for a policyholder if their insurance company utilized these solutions? Mike Winn: Policyholders can expect rapid assessment of their property damage and benefit from a quicker claim process because of the speed at which drones provide data to insurance adjusters. ITI: Did these services see use during the extremely active 2017 hurricane season? How and where were they used? Are there metrics that you can provide that show the effect and benefit of these solutions for both the insurance companies and policyholders? Any anecdotes that you can share? Hurricane Irma ravaged St. Martin, damaging approximately 95 percent of the buildings. Mike Winn: The 2017 Hurricane season brought many powerful storms to the Caribbean and southern United States—among them Hurricane Irma, Maria, and Harvey. While assessing property damage through traditional methods would have taken months to complete, in just 10 days, the team at Dronetec was able to map over 300 buildings in St. Martin using DroneDeploy’s robust cloud-based mapping software. This allowed them to share information with adjusters and other stakeholders, such as property owners and contractors, almost instantly. ITI: Are many insurance companies adopting drones in this capacity? What is adoption looking like for drones and drone data across the insurance industry? Do you anticipate adoption increasing in the near future? Why or why not? Mike Winn: Yes, we’re seeing insurance companies around the world incorporate drones into the claims process with success. Drones cut down the time it takes for adjusters to gather data and improve turnaround time—all while keeping them out of harm’s way. I expect to see greater adoption in 2018 by insurance companies. The results are too positive for companies to ignore. 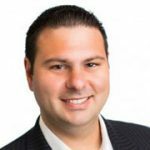 ITI: What services does DroneDeploy offer insurance companies? How is using DroneDeploy different than just buying a bunch of drones and making them available to insurance adjusters? Emilien Rose and his team at Dronotec, who mapped 300 buildings in St. Martin. Utilizing DroneDeploy’s cloud processing engine, they mapped 30 buildings per day and helped jumpstart efforts to rebuild an island hard-hit by the disaster. Mike Winn: DroneDeploy’s provides adjusters with a complete platform for automated flight, data capture, map processing, storage, and analysis. Built-in measurement and annotation tools make it easy to get accurate measurements and take notes while on the job site. All data is hosted in the cloud for easy sharing and collaboration with stakeholders back in the office. ITI: Can you tell us a bit about DroneDeploy history? Where did you get the idea for the company? How did it get started? What companies and industries are utilizing DroneDeploy’s solutions? Mike Winn: DroneDeploy was founded by Jono Millin, Nicholas Pilkington, and me in 2013 to assist park rangers in Kruger National Park—one of Africa’s largest game reserves—catch poachers who were illegally hunting rhinos. Now, DroneDeploy offers cloud-based software solutions for drone mapping to farming, mining, construction, surveying and insurance customers, making it possible to generate rapid insights to fuel smarter business decisions around the globe. For additional details on how drone data can help your company, and to learn more about the role of drones in the insurance industry, visit DroneDeploy online by clicking HERE.